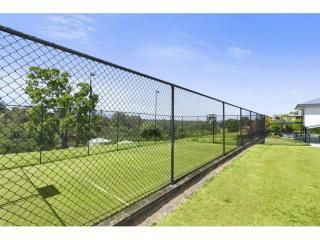 Master built family home with views, breezes and a tennis court !!!! What more could you want. 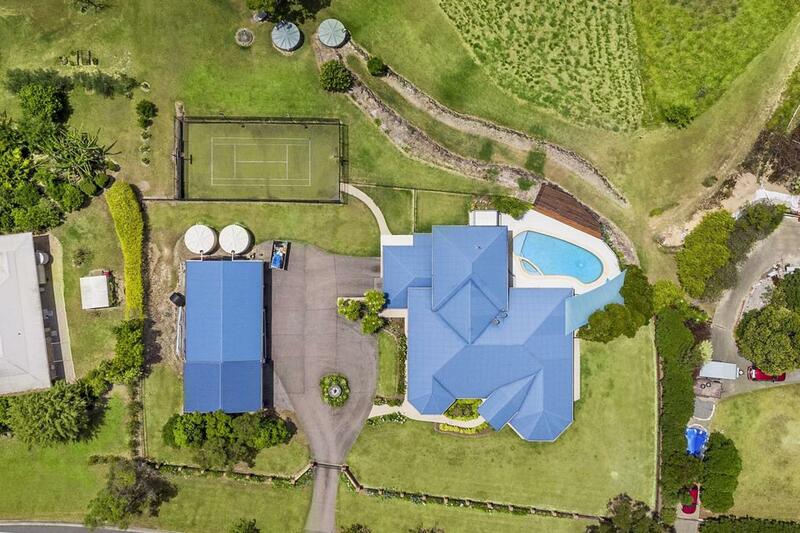 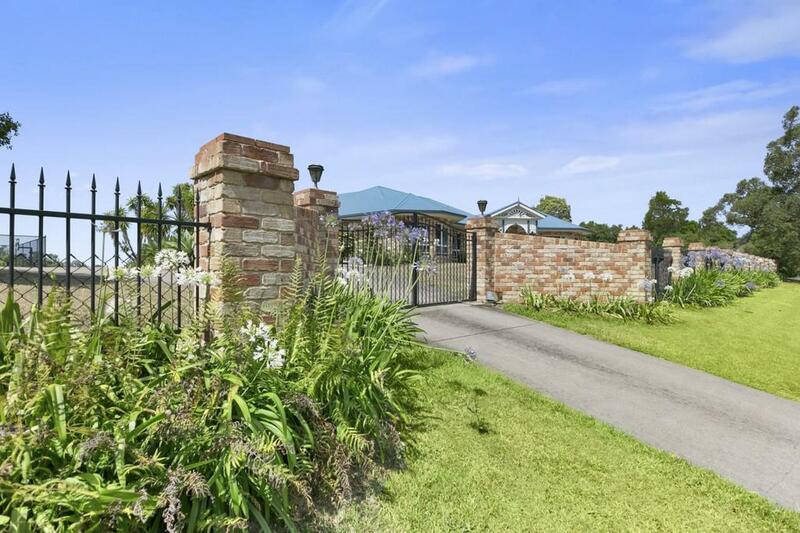 This is a castle high on a hill on 2.5 acres, in the sunshine coasts hinterland rural suburb of Black Mountain....some would say the new Doonan!! 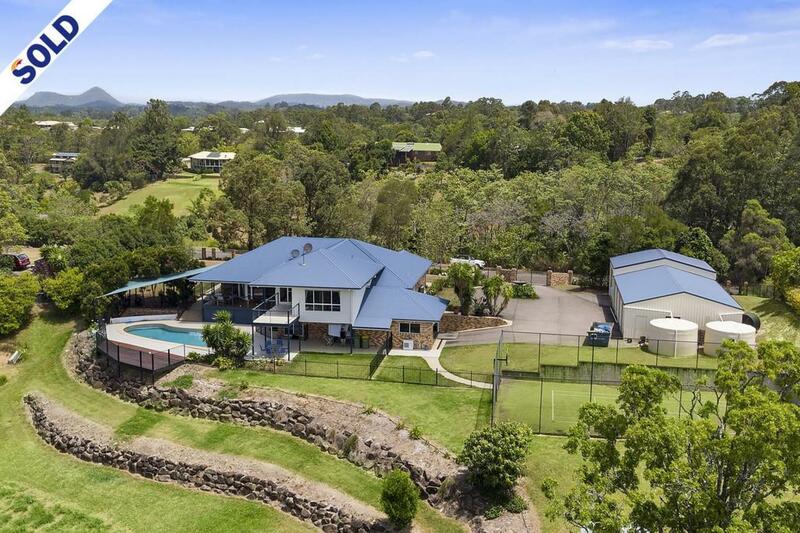 Just minutes from the charming service towns of Cooroy and Pomona and a 20 minute drive to world renowned Noosa Head's beaches and restaurants. 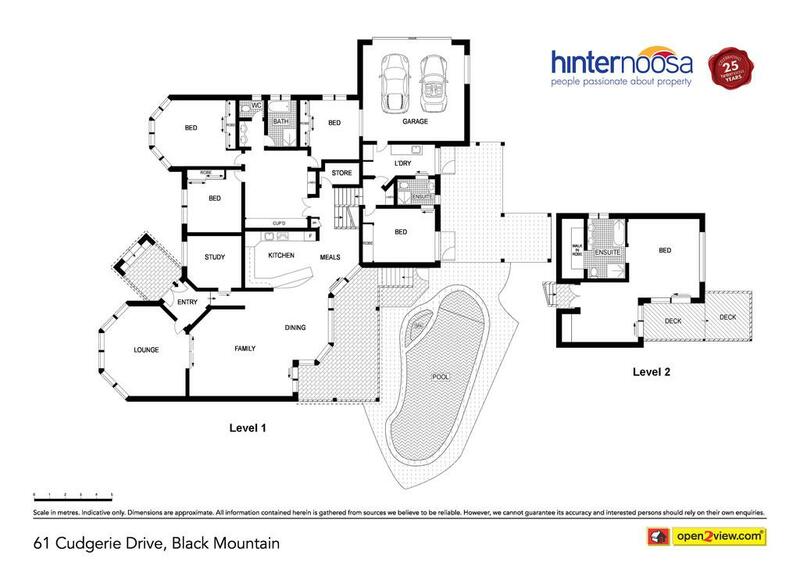 This is a home of grand proportions. 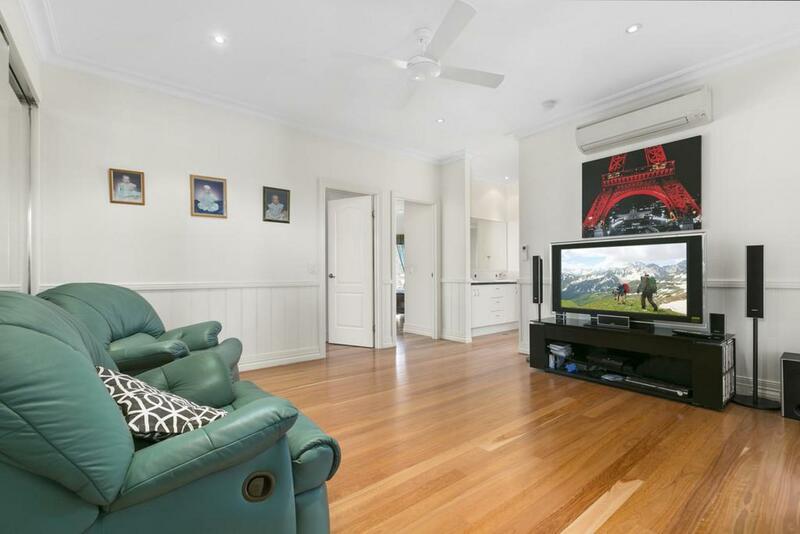 The kids wing consists of 3 oversized bedrooms (built in), which open to a media / games room away from the main living areas of the home. 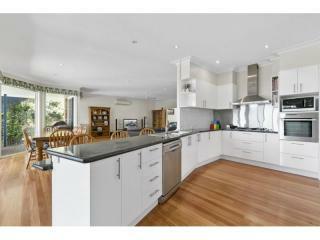 The parents retreat is tucked away on its own floor and has never ending views northward to Double Island Point. 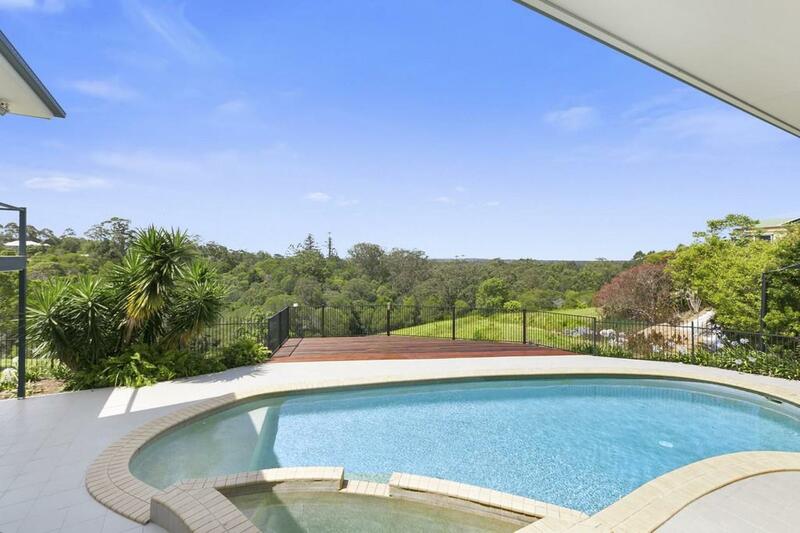 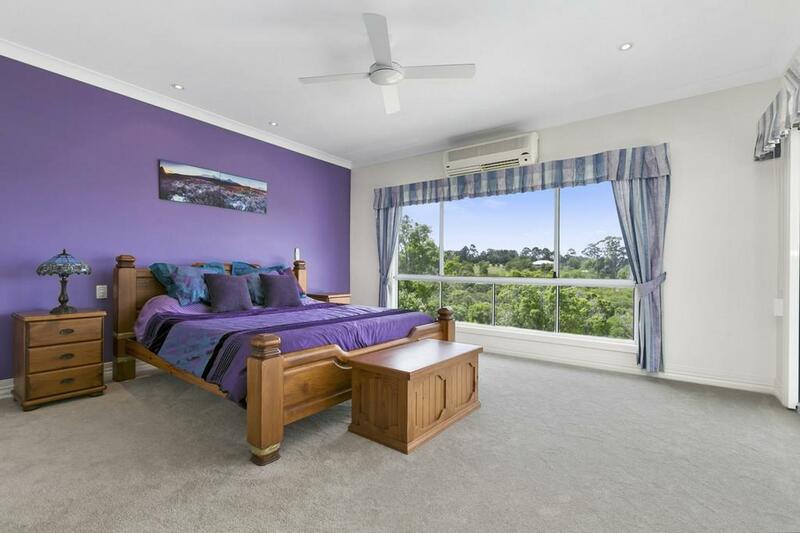 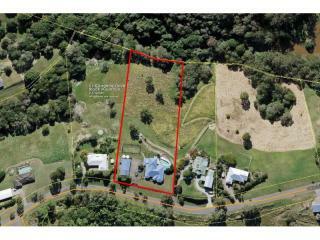 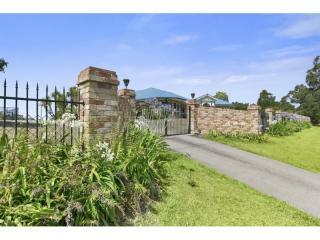 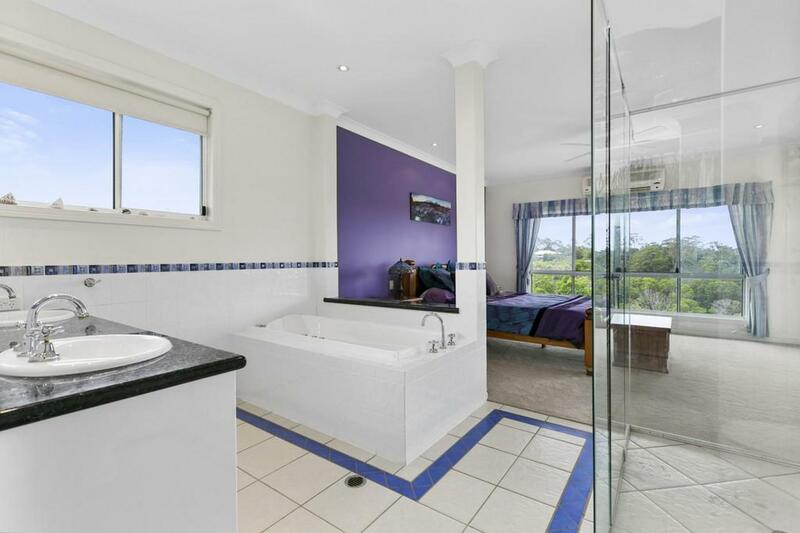 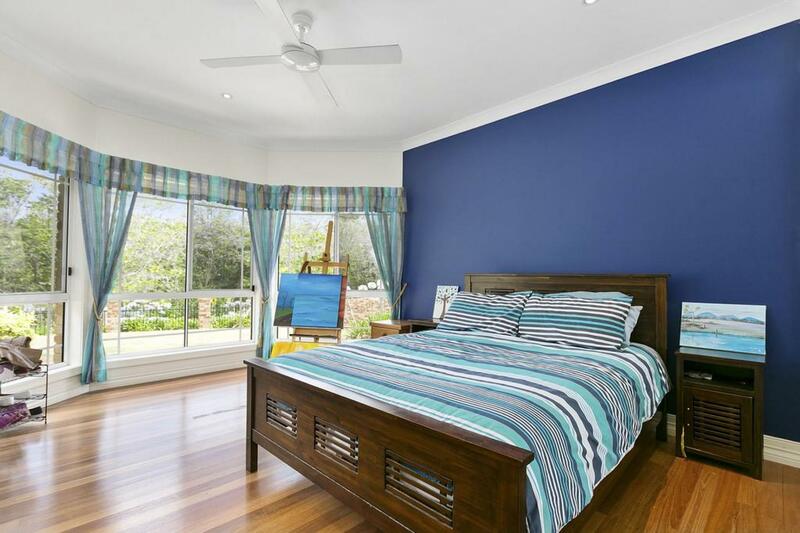 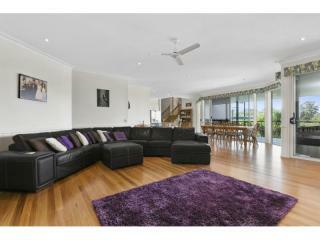 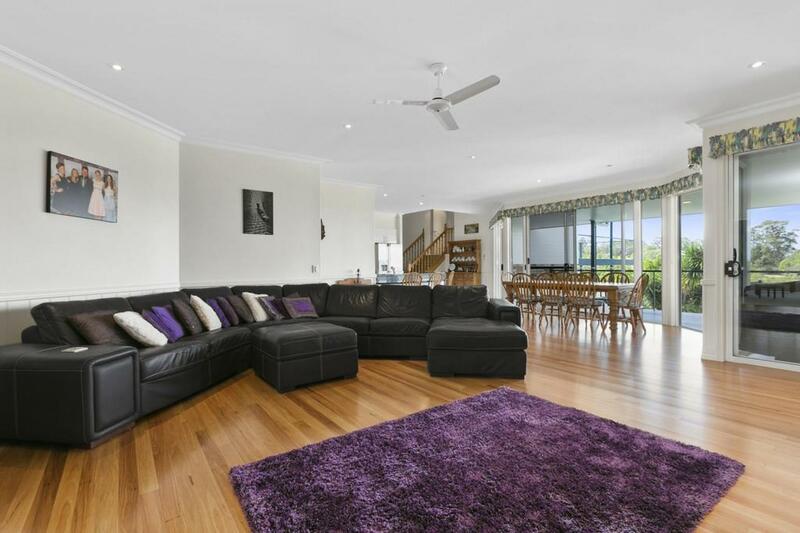 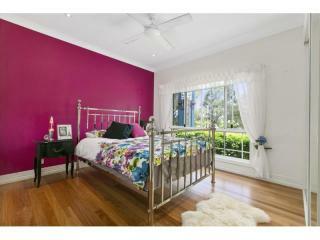 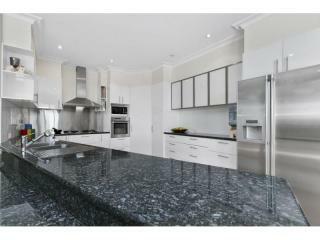 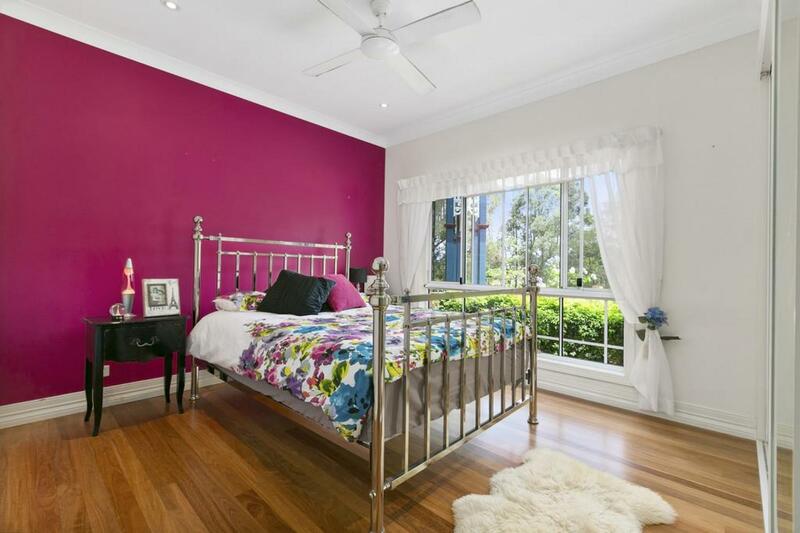 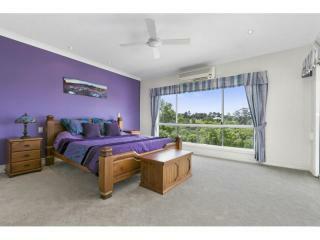 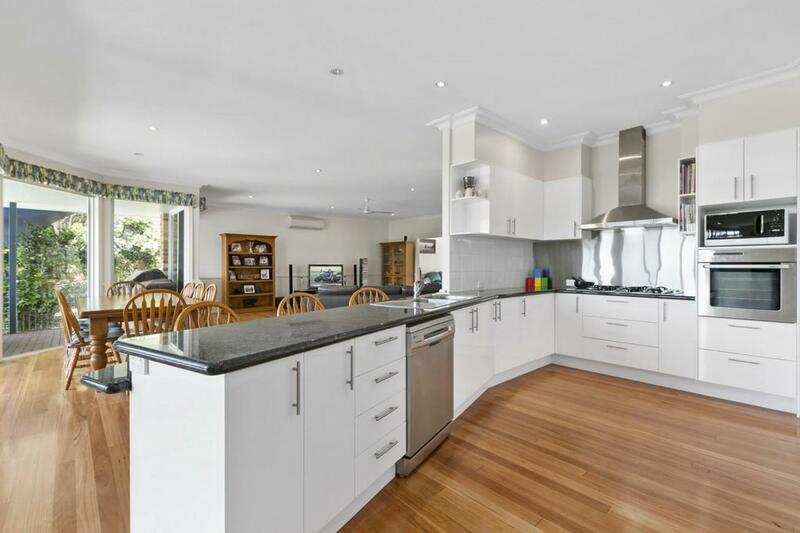 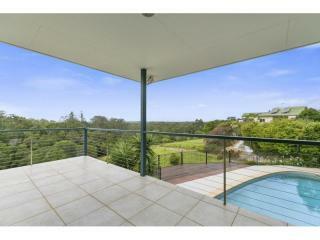 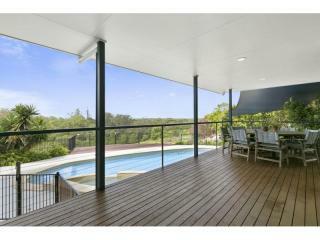 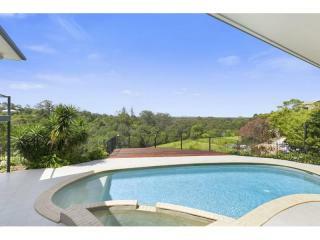 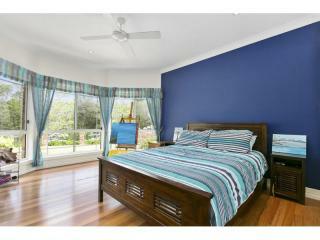 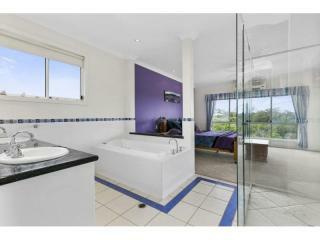 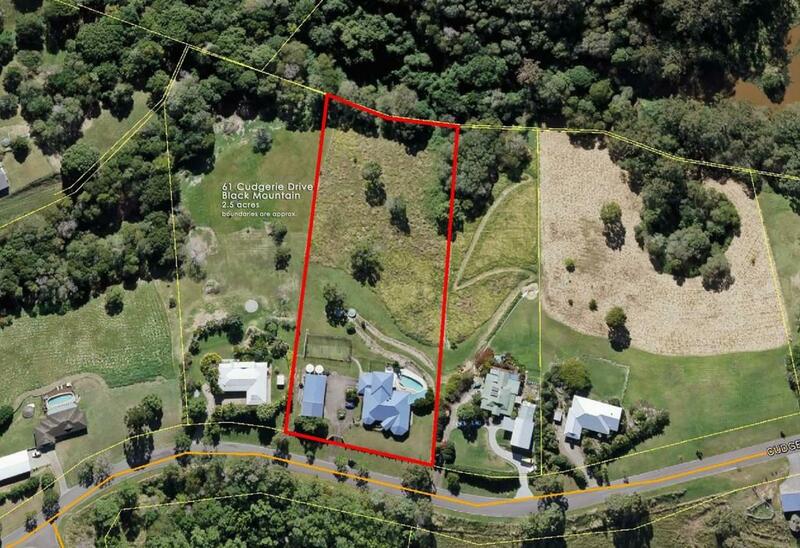 On this level is a parents retreat, study and spacious ensuite and walk in robe. 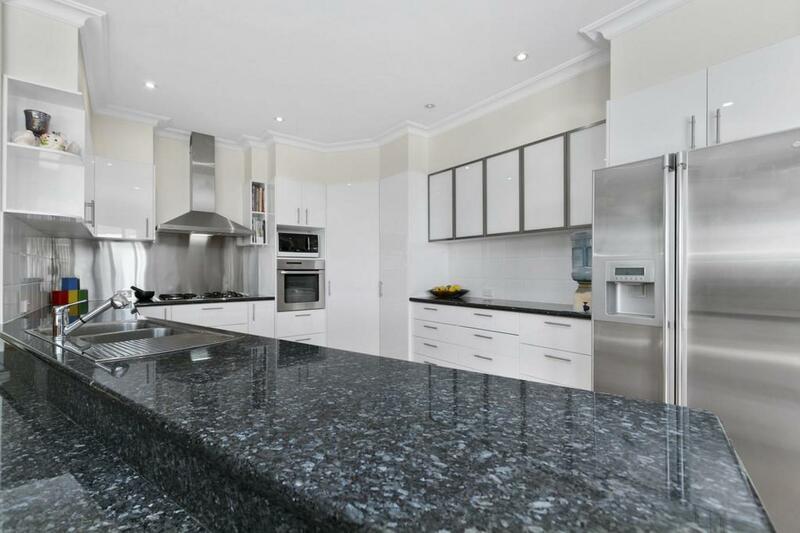 The main portion of the home consists of the ideal cooks' granite kitchen which opens to the informal eats and lounge room. 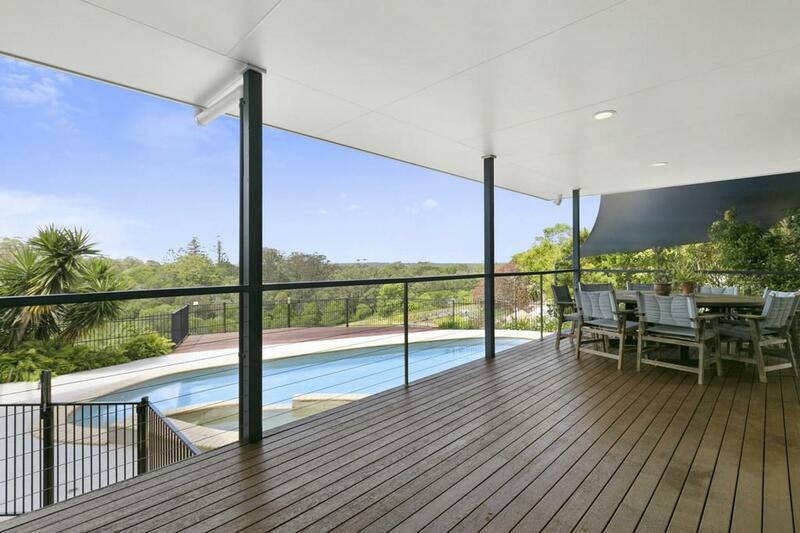 These spaces open to verandas which overlook the pool, spa and BBQ areas. 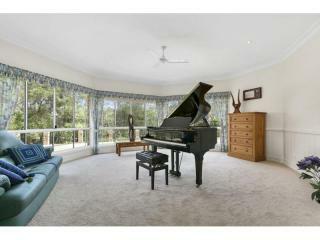 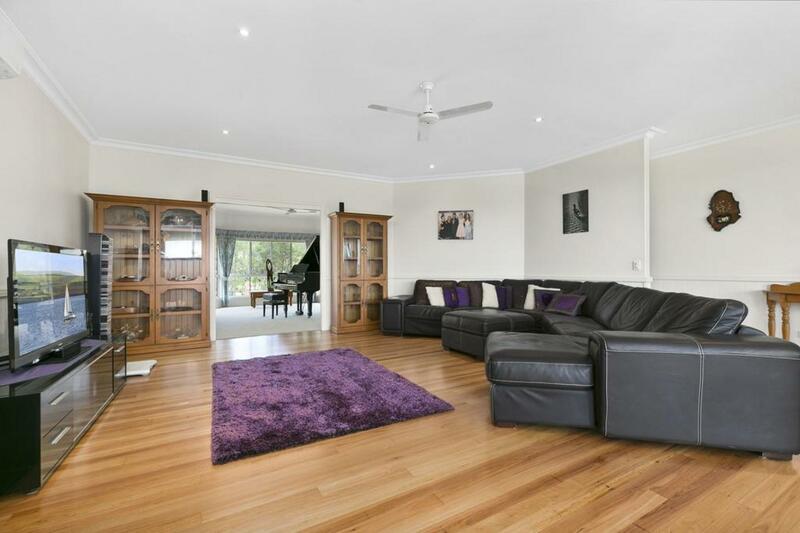 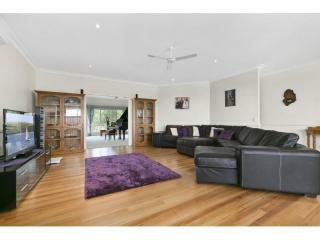 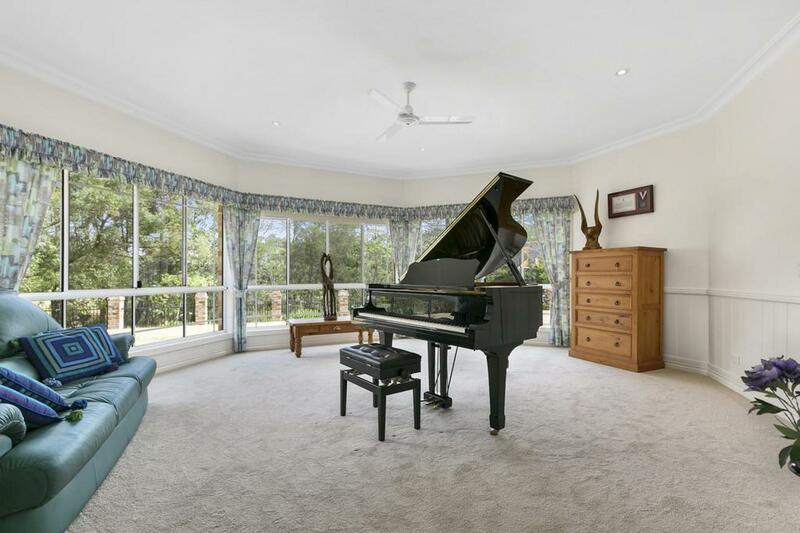 Also on this level is the generous formal lounge room with bay window. 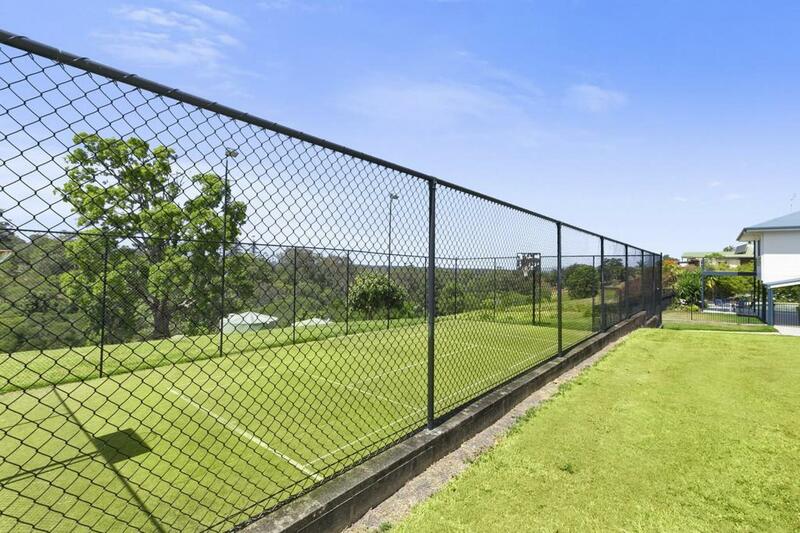 Also on the property is a half tennis court with net and basketball hoops at either end. 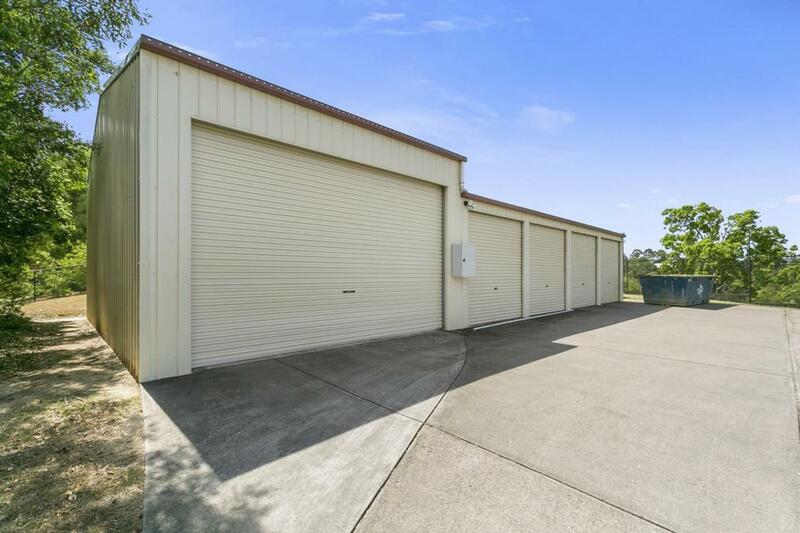 The 6 bay shed is equipped with 3 phase power, two adjoining bays have 3 meter roller doors enabling you to store a large caravan, motor home or boat. 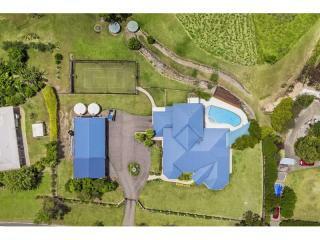 There are 4 x 5000 gallon water tanks on the property and lovely easy care gardens. 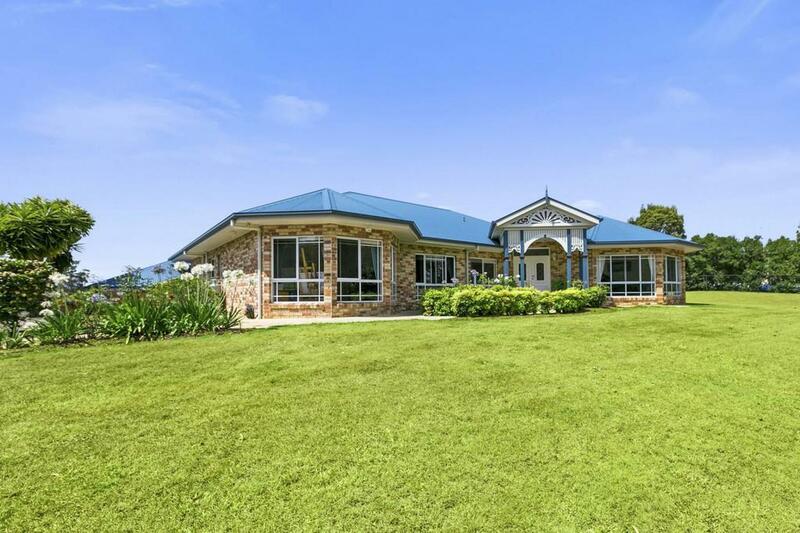 This is the perfect family home in a much desired location. 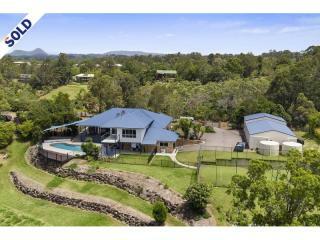 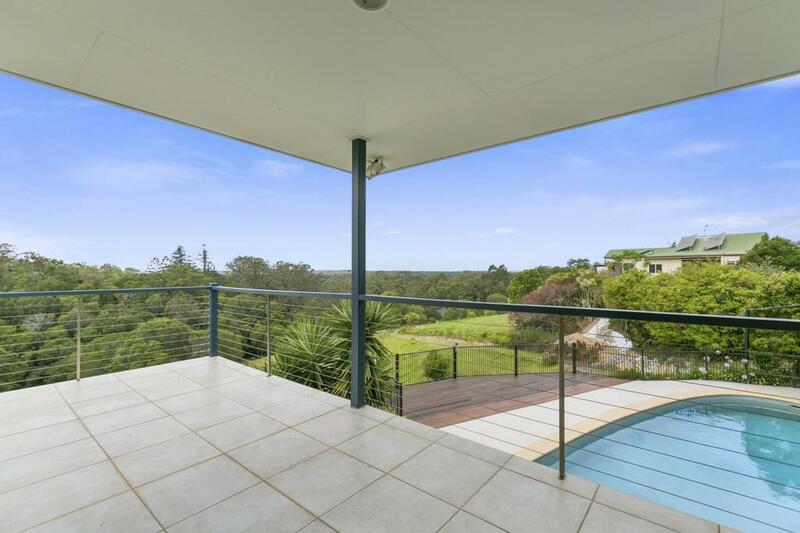 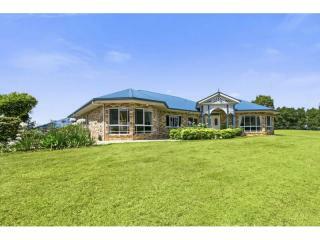 This is value like not seen elsewhere in the sunshine coast hinterland. 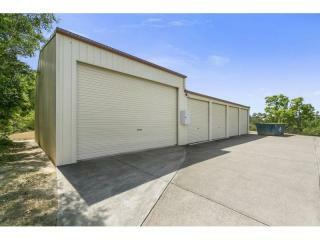 Inspection will delight.